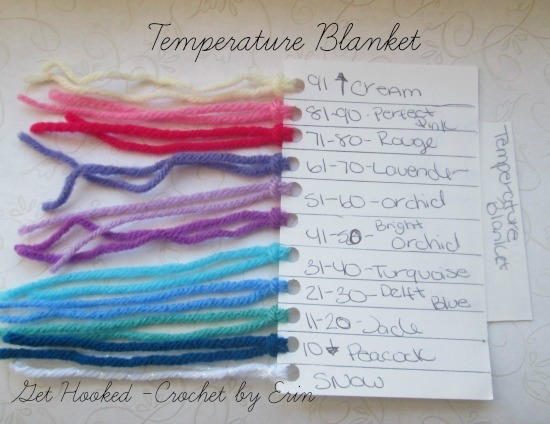 Does anyone remember the Temperature Blanket I was working on last year ? Well I took it apart. I dont have a need for it . I’m just over it. If 2016 were a year something big happened in my life I would of finished it. But nothing happened. I sorta regret making it in the first place. All that yarn …wasted. But dont worry I will find something wonderful to use this yarn with. Here are the final pictures of the 2016 Temperature Blanket. I know its pretty stupid of me to frog this at such a late point. 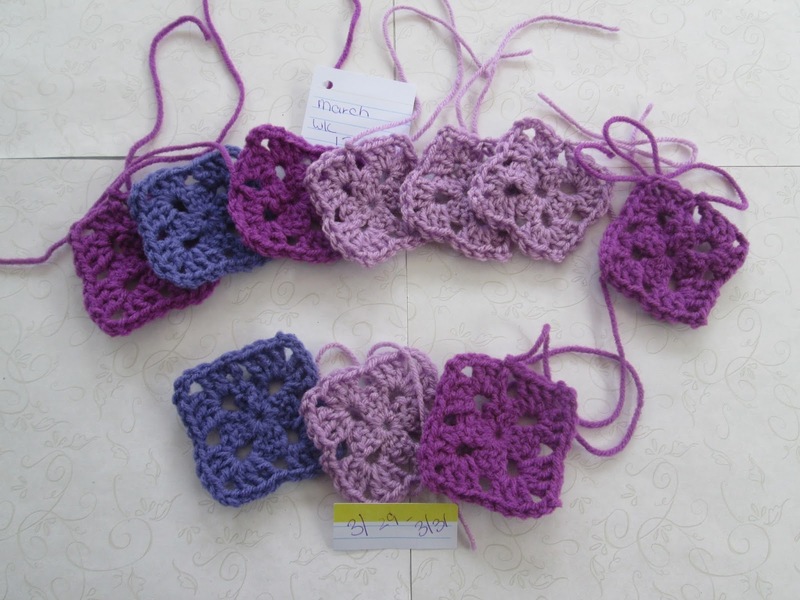 (Picture shows Jan 1st – Oct 30th.The square for 10/31 was going to be added with the November squares). But no matter how I feel I have to push through and finish my projects. 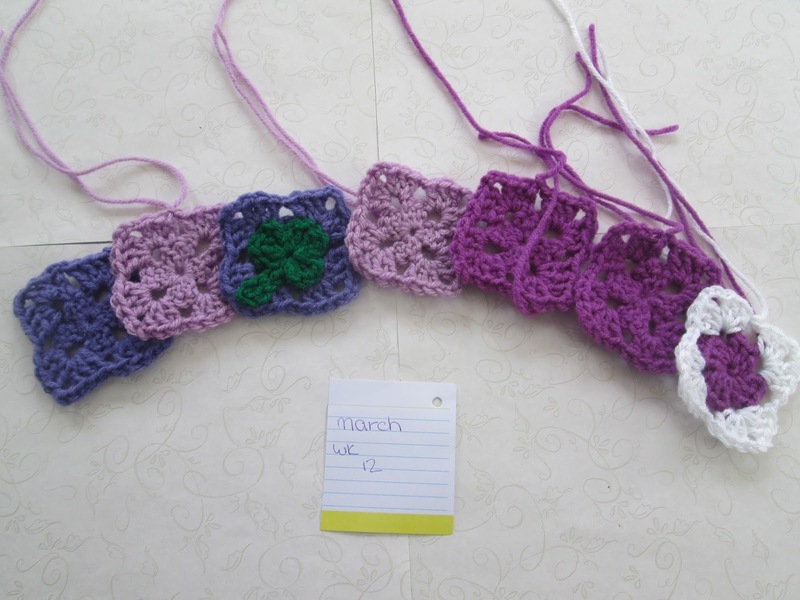 I plan to remove all projects from my queue on Ravelry and only have projects that are on my year 6 list. I will share more of my evil plan later.. 😀 Also all my post will be here on wordpress. 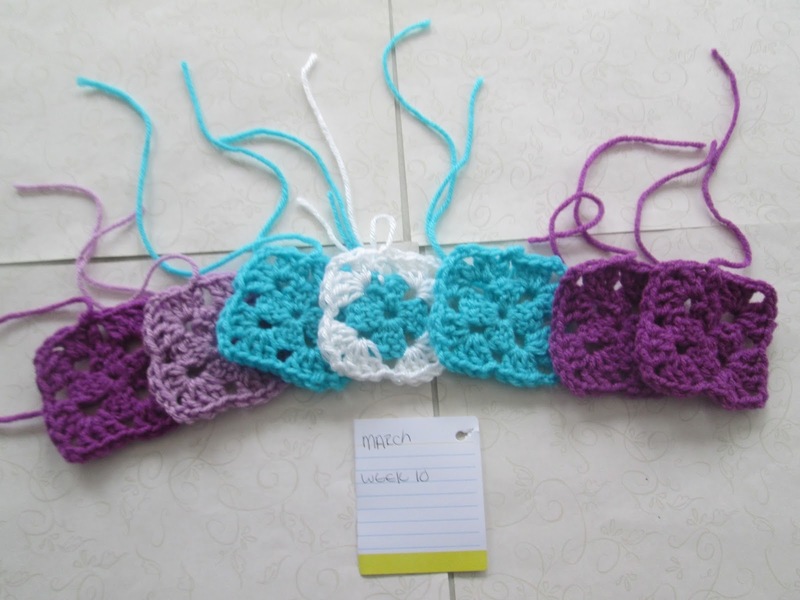 Now on to the crochet pretties. With the list I still have, I have to make a bunch of items for the craft fair this summer. Its a weekly event so I need lots of stuff . So much purple in March. There were a few more snow days. A few cold days sandwiched in the middle. The high for the month 72 ( rouge) and the low for the month 31 ( turquoise – with snow) . I first heard about a Temperature Scarf a few years ago. I started one but never got past the first month. 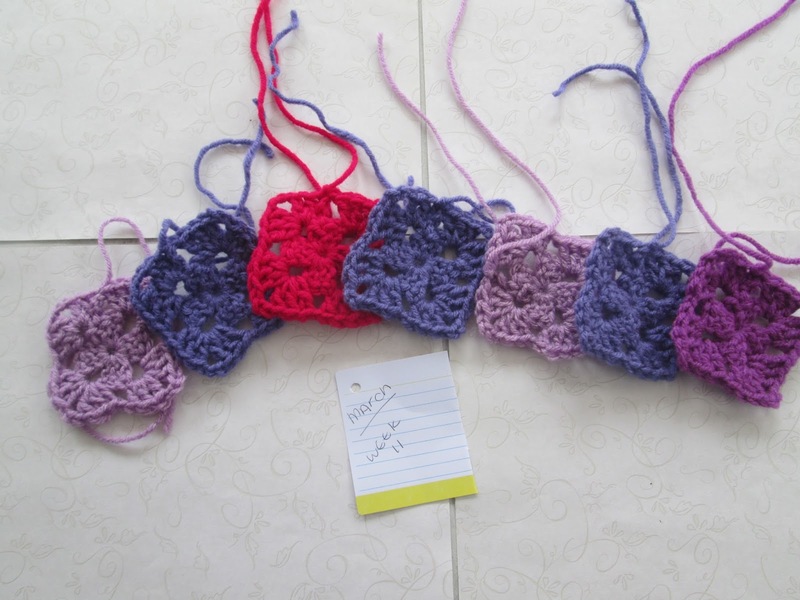 This year I plan to make a blanket. I like projects I can piece together. 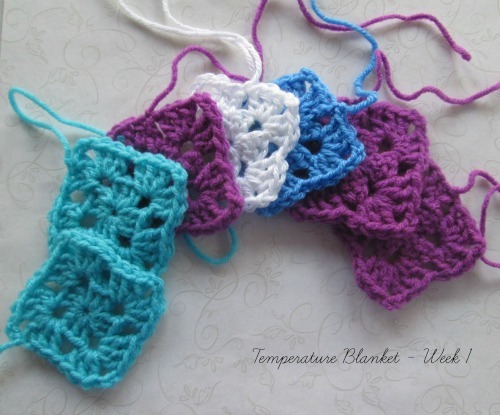 My blanket will be 2 round granny squares using a J size hook. I will be adding snow days as well. a few turquoise , bright orchid , a sparkly square for a snow day and delft blue. I can’t wait to see what week 2 brings!